Congratulations to Samar Alsafadi for winning the 2019 Women in Cancer Research Scholar Award at the American Association for Cancer Research (AACR)! Errors in reading the information contained in the core information of cells (DNA) lead to the production of altered cellular materials, that might have an altered function and/or form. These errors go by the scientific name of “aberrant alternative splicing” and are believed to be an important process in cancer development. The mutations can be found in specific genes (like SF3B1, U2AF1, SRSF2 and ZRSR2) and, interestingly, usually only one mutation that leads to aberrant alternative splicing is found per cell. 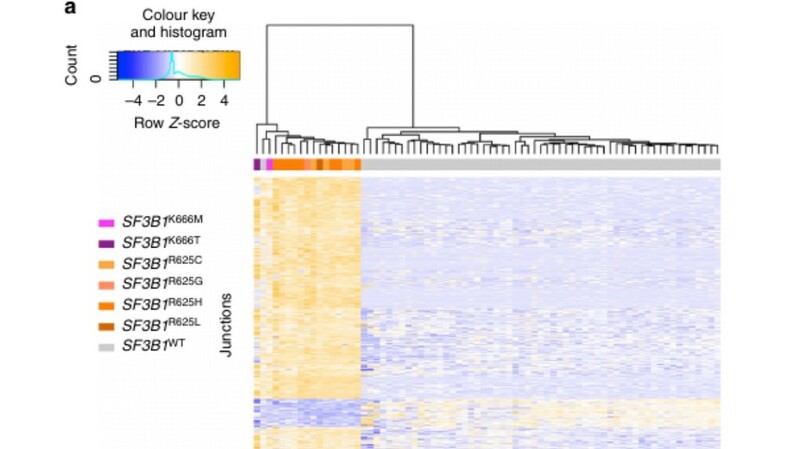 Analyzing cancer cells from uveal melanoma, the SF3B1 mutation was found to be common. 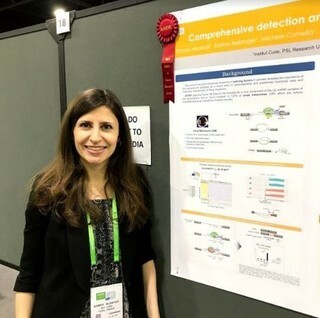 The study led by Samar Alsafadi (Institut Curie) entitled "Comprehensive detection and analysis of mutant-SF3B1 splice pattern", which won the 2019 Women in Cancer Research Scholar Award at the AACR, highlights the potential of studying the result of altered splicing patterns when no specific splicing mutation is found. This is explained by the “trademark” alterations that each splicing mutation has, and by the fact that normally only one of these mutations is found per cell. These new finding will help doctors to better classify patients’ tumors, hopefully leading to more personalized treatments for uveal melanoma.